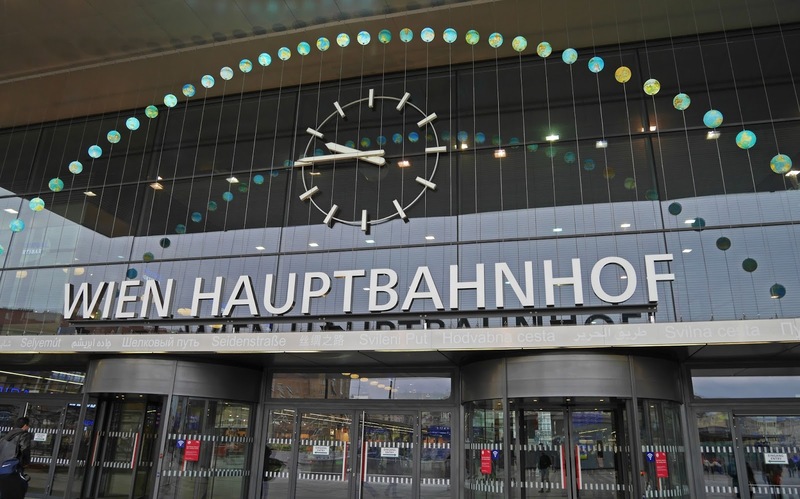 On the continent, it is so easy to travel from country to country as places are so well connected via rail. We don’t have this luxury in the UK, as apart from visiting Scotland and Wales, we usually have to fly or travel a long distance in the car to reach other countries. 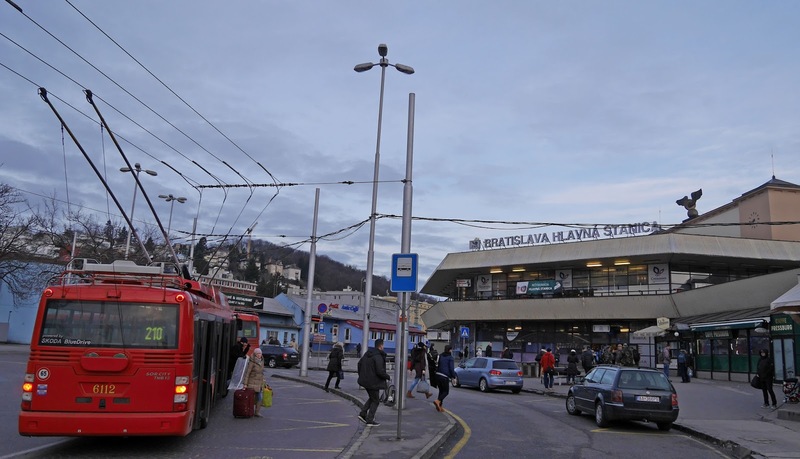 The Slovakian capital of Bratislava and the Austrian capital of Vienna are 60km apart, which is only a small amount more than my journey to work everyday. For Stuart and I, being able to see both places during the same trip was so convenient. It surprises me that more people don’t consider visiting the two cities together, especially seeing as a return train ticket between the two cities is €20: much less than most people in the UK pay to get around London for the day. There’s also the option to take a boat ride between the two cities. One thing I noticed whilst we were in Bratislava was that it doesn’t attract the crowds like nearby Vienna. 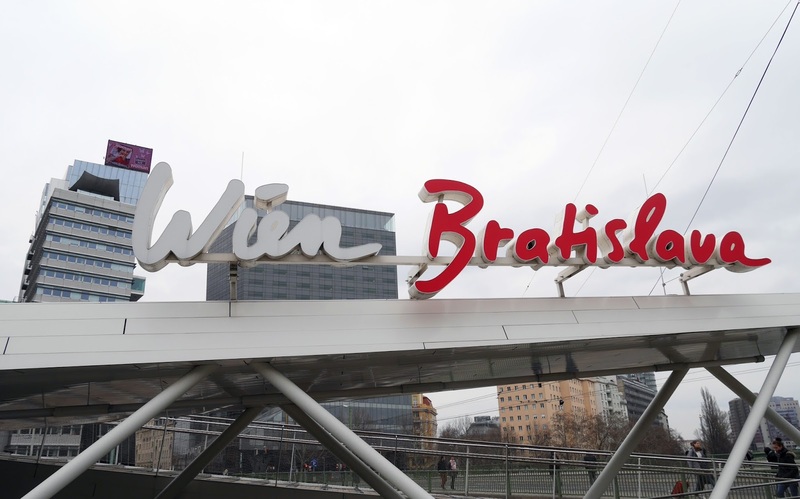 Perhaps it’s because Bratislava isn’t considered one of Europe’s top city break destinations, so people go to Vienna and it doesn’t cross their mind to visit Vienna’s neighbour capital city. Bratislava doesn’t have as many tourist attractions as Vienna, so if you’re not prepared to dedicate an entire city break to visiting Slovakia, I’d recommend visiting Bratislava for the day whilst you’re spending the weekend in Vienna. Bratislava is so different architecturally and culturally to Vienna. If you visit the two cities together, you’ll have two very contrasting experiences. Bratislava is very similar to Prague, to give you some perspective. The aim of this post was to bring it to your attention how easy it is to visit Vienna and Bratislava in the same weekend. Day trips are tiring yes, but at least you’ll have a weekend full of contrasting experiences. Have you ever been to Vienna or Bratislava?